If you thought the power of levitation was only available to magicians (and perhaps magnets) then check out this amazing project from Asier Marzo. 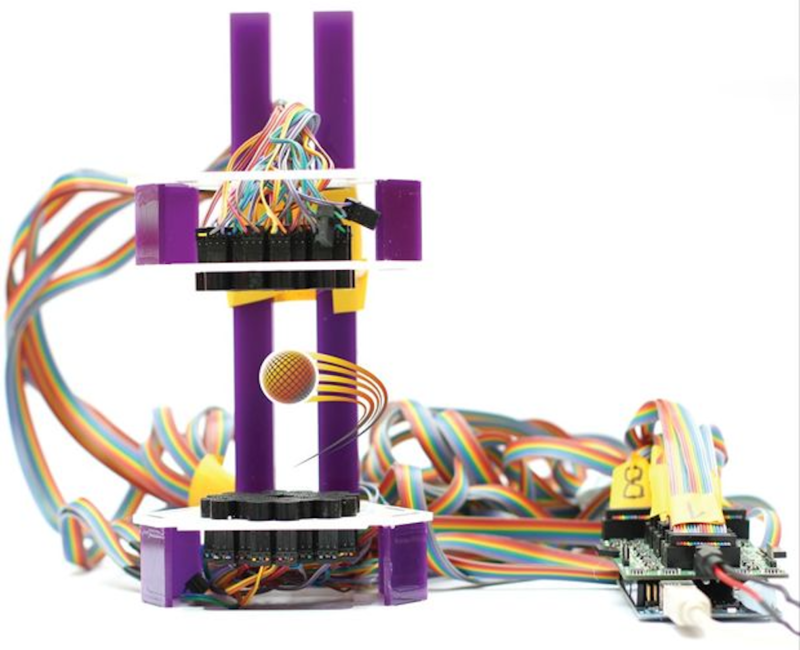 It uses an Arduino Mega to control an 8×8 array of ultrasonic transducers, which when carefully coordinated using a simulation program, not only can suspend a particle but cause it to move around the grid of transducers. 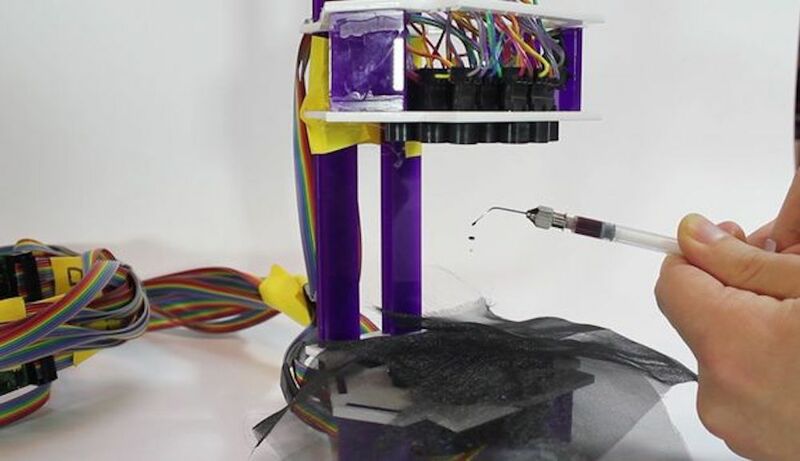 You can find a summary of this kind of device’s capabilities in Marzo’s write-up, including haptic feedback, use as a directional speaker, and even levitating liquids in a standing wave setup. We present Ultraino, a modular, inexpensive, and open platform that provides hardware, software and example applications specifically aimed at controlling the transmission of narrowband airborne ultrasound. The software can be used to define array geometries, simulate the acoustic field in real time and control the connected driver boards. The driver board design is based on an Arduino Mega and can control 64 channels with a square wave of up to 17 Vpp and ?/5 phase resolution. Multiple boards can be chained together to increase the number of channels. 40 kHz arrays with flat and spherical geometries are demonstrated for parametric audio generation, acoustic levitation and haptic feedback. You can also skip to 8:30 in the video below to see it manipulating a particle, or to 9:30 where several individual drops of alcohol and food coloring are able to float in mid-air. Back in 1968 , I was half of a team that built a gas laser ( 337 u ) to test the propagation of laser beams for communication, for the Radio and Space Research Station in England. I was told that some guys at MIT had suspended ( sort of ) a raindrop in a jet of air over a bead. My boss told me to do it, and measure the signal dispersion through different size water drops ! He then went off on leave for a couple of weeks. All the other experiments in our building moved up to one end of the lab, and I had the time of my life in the soggy end. I wish I had thought of doing it acoustically !